Dave Weckerman | Will You Miss Me When I'm Gone? 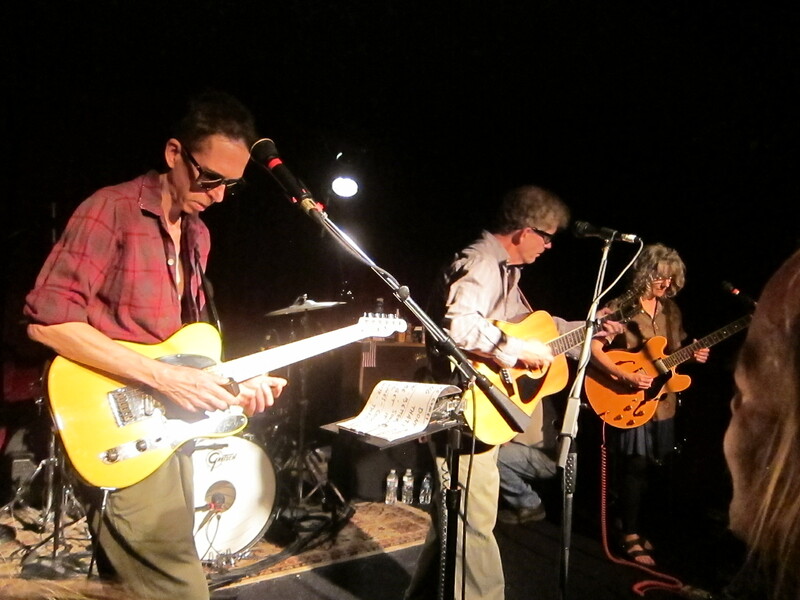 The Feelies may have lost their home base when Maxwell’s went out in style with a Hoboken block party last year. But they haven’t lost their soul, as they proved Friday night. They took the stage of The Bell House in Brooklyn on Friday night and played two red-hot sets. The Bell House is thee closest thing to a home club the Passaic County, N.J., quintet has these days. Former Maxwell’s co-owner and booker, Todd Abramson has been booking bands at the first-class Gowanus music venue for some time now. Guitarist Bill Million and bassist Brenda Sauter. 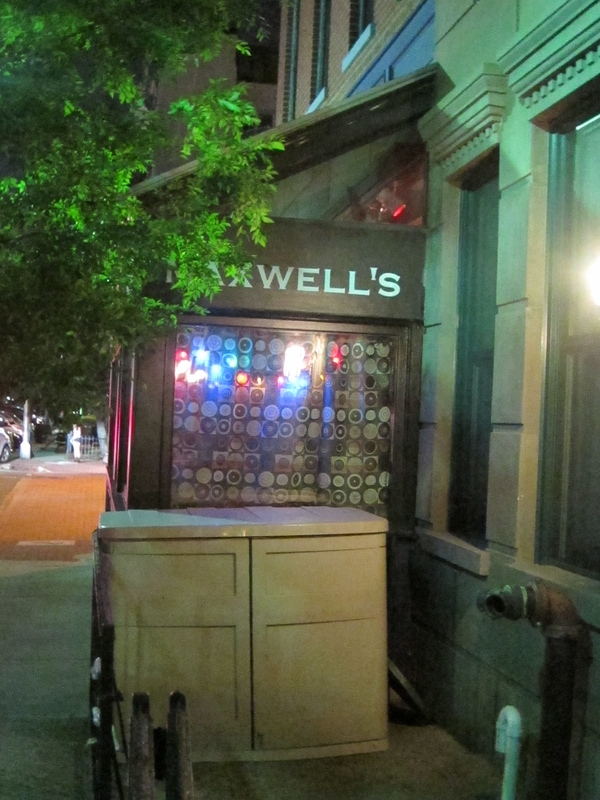 If you can’t picture yourself at Maxwell’s in Hoboken, N.J., at 3 o’clock on a Saturday afternoon, it’s time to make an exception. Tomorrow, Aug. 13, that’s exactly where you should be. If you’re there, you’ll be helping young adults who have aged out of New Jersey’s foster-care system through the Roots & Wings foundation and listening to four great bands in the process: Speed the Plough, Yung Wu (a side project of Feelies percussionist Dave Weckerman), Wild Carnation (which includes Feelies bassist Brenda Sauter) and Charlotte Sometimes. 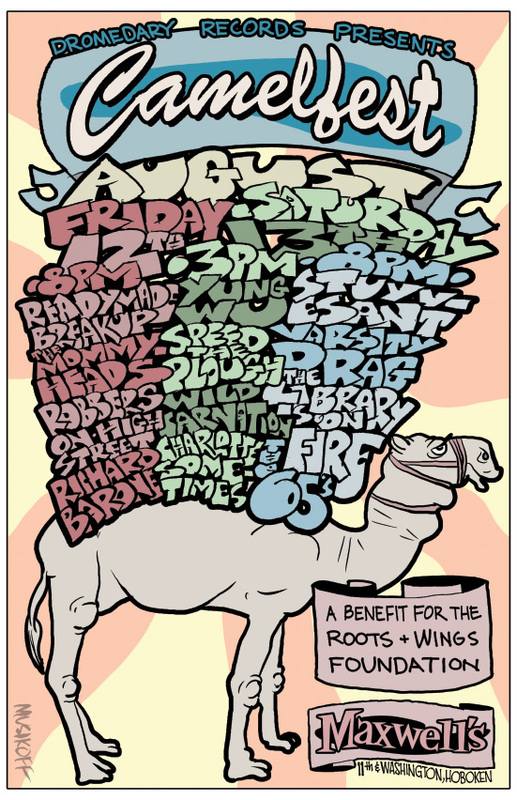 Of course this is just one of three shows, featuring 12 bands, being staged at the legendary Hoboken club this weekend as part of CamelFest 2011 in support of Roots & Wings. It’s sponsored by Great Meadows, N.J., -based Dromedary Records. Tonight’s show’s, which starts at 8, features Richard Barone, Robbers on High Street, Readymade Breakup and The Mommyheads. Tomorrow night, also at 8, it’s The 65’s, The Library is on Fire, Varsity Drag and Stuyvesant. Tickets are $10 per show. They’re available online (click here for tonight, tomorrow afternoon, tomorrow night) and at the door. Since you landed on this post, you’ve probably already checked out the Will You Miss Me When I’m Gone? 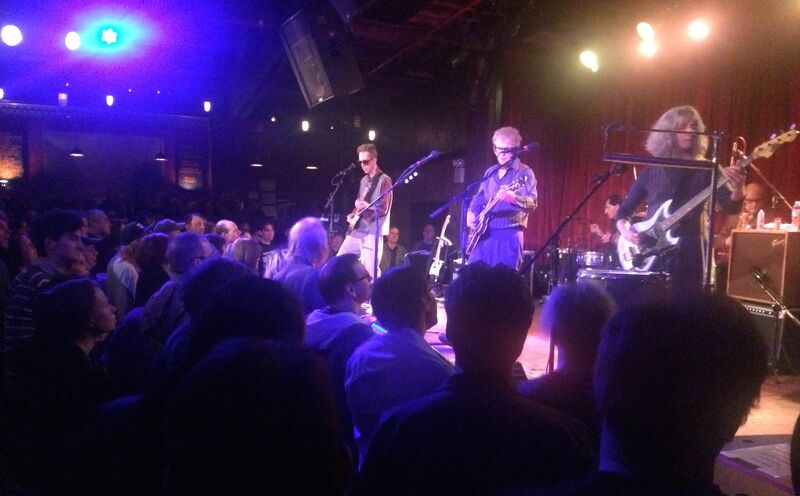 post about The Feelies‘ Fourth of July weekend shows at Maxwell’s. But if you’ve fallen behind on your Feelies news, here’s a collection of great items on the web about the shows, the band and the NEW ALBUM, for which the band has been writing new songs for a couple of years. Production is supposed to start any day. Read on for more. Jim Testa‘s known The Feelies since Day One, so his voice in Jersey Beat is authoritative. Click here for his review and his insights about the new album. 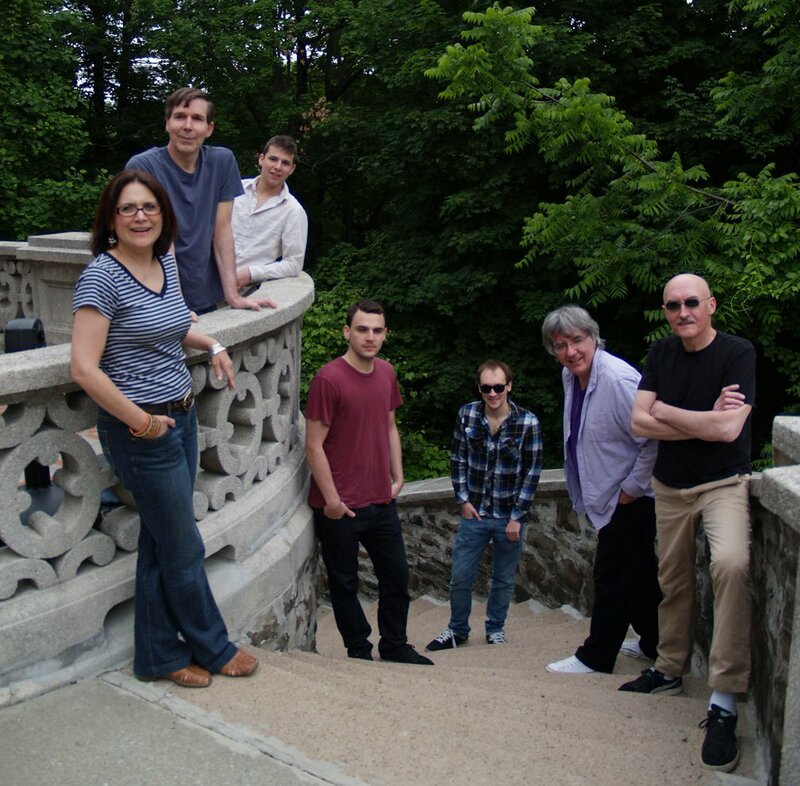 Katie Demeski, daughter of Feelies drummer Stanely Demeski, blogs about a number of things, but mostly ruminates on her dad’s band. 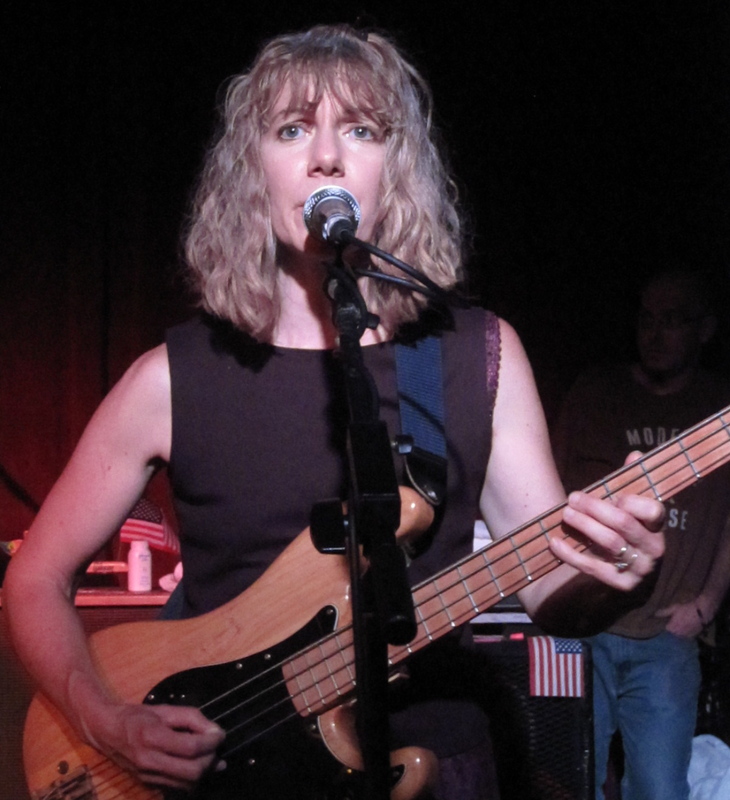 She posted some videos of her dad practicing here, gives her impressions of The Feelies demos here, talks about the in-the-works Feelies album here and weighs in on Feelies offshoot band Speed the Plough‘s new album here. And The NJ Underground, a site aimed at younger music fans, did a good piece on The Feelies. Perhaps this accounted for the rather high percentage of young people in the audience at Maxwell’s last weekend. 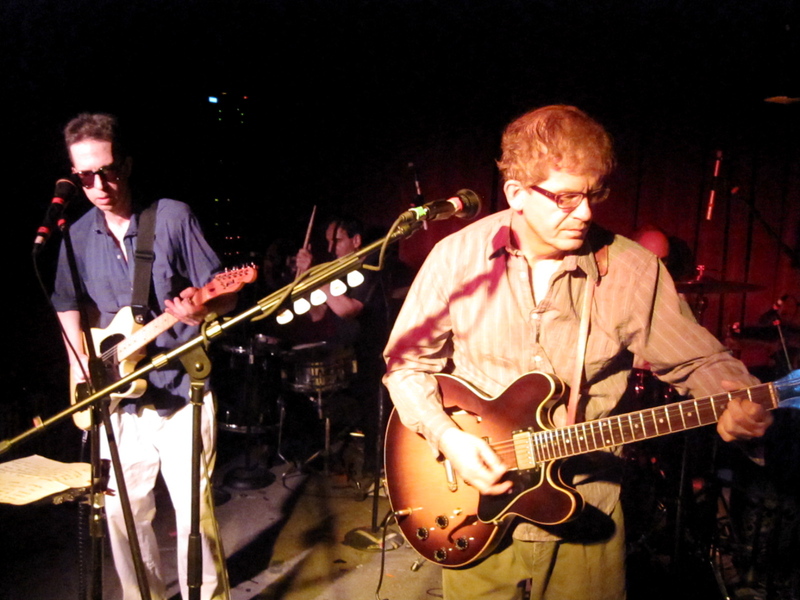 Tonight may be your last chance to see The Feelies this year! 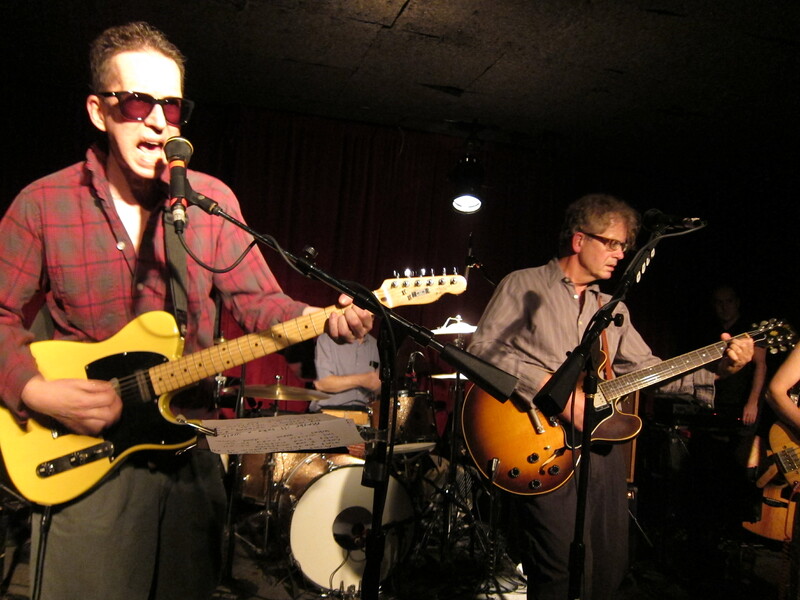 As has been the habit of The Feelies since their comeback in 2008, they booked shows around a holiday — in this case the Fourth of July at the band’s musical home, Maxwell’s in Hoboken, N.J. This year the band booked three shows starting Friday and ending tonight, on the holiday itself. 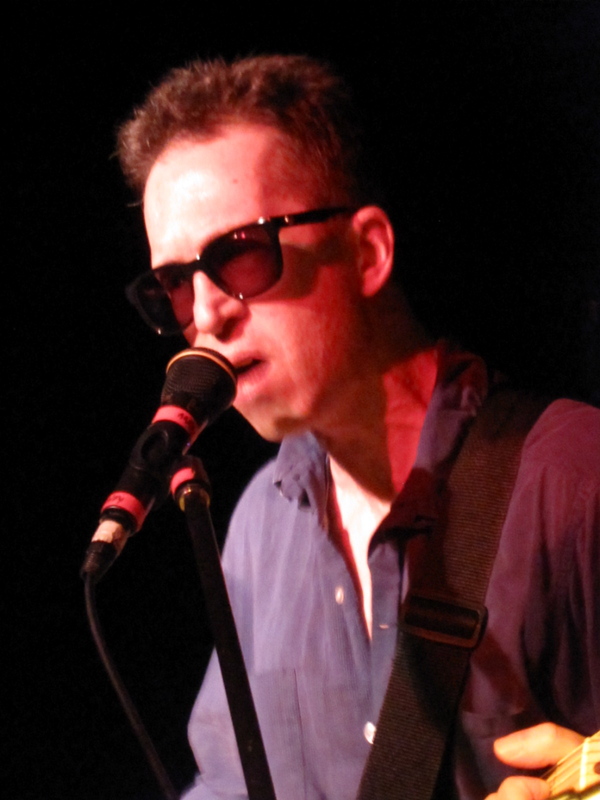 If you love The Feelies and you haven’t seen them yet this year, now’s the time to book. Will You Miss Me When I’m Gone? made it to last night’s gig, and we’re glad we did. 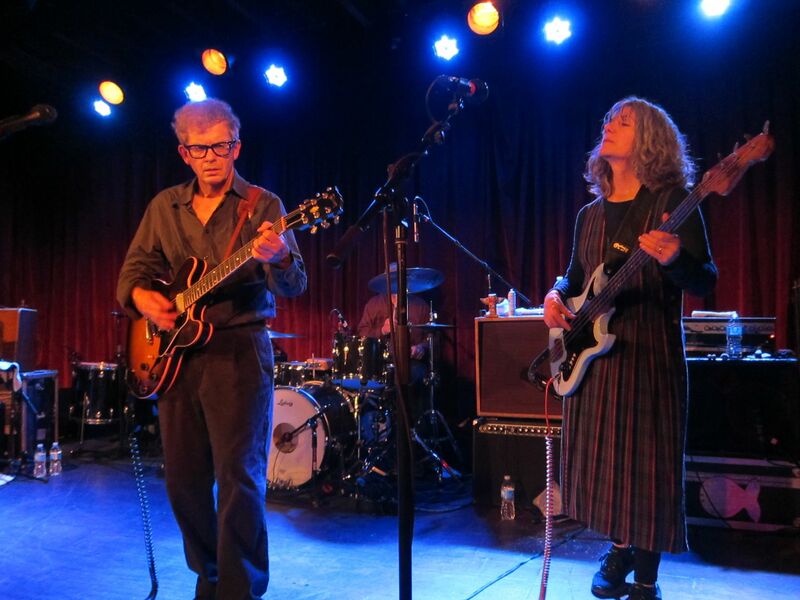 The set was much the same as always — The Feelies have typically played the same set, with slight variations, at every show since the reunion. This is a band that likes predictability. But frontman Glenn Mercer‘s singing seemed stronger, clearer and more confident than ever, and the overall sound was crisp and clear —something that has not been a hallmark of many recent shows. One thing worth noting, though. The band did do quite a few new songs — some of which have been in rotation for awhile, with a couple of other, even newer tunes, one of which remains untitled. It was a real treat to hear new material. It sounds strong and very much in keeping with what fans know and love The Feelies for without sounding like retreads. Bass player Brenda Sauter played and looked great, and wasn't wearing the wrist brace she usually sports. We’re hearing that it’s not clear when the band will play again, since no other gigs are booked so far this year. And a member of the band’s team says the quintet is going into the studio after tonight work on a new album. Doors for tonight’s show are at 8 o’clock at Maxwell’s, 1039 Washington St., Hoboken, N.J. Showtime is 9 p.m. There’s no opening band, so get there by 9 or you’ll miss out. Tickets are $25, and still available here. If you drive, allow extra time. It’s the Fourth of July, and there will be crowds of people out to watch fireworks. It’ll be hellish getting around, and parking will be extremely difficult, especially if you usually count on parking along Sinatra Drive, which is closed for the weekend. Take public transportation if possible. Click to the jump for more photos from last night’s show.